Albert Einstein once said, “our greatest natural resource is the minds of our children.” Teachers are the miners of that resource—the ones who invest their knowledge, creativity, and patience to pull from the depths of children’s minds understanding, curiosity, and a love of learning. Teaching could rightfully be called the single most important profession in the world. Teachers make it possible for children to become functioning adult members of society; without them, civilization, technology, and progress would cease. Although they are often the unsung heroes of our communities, teachers face their myriad challenges head on each day, returning to the classroom to make a positive impact on their charges. In observance of Teacher Appreciation week, our hats are off to all of the fantastic teachers out there. 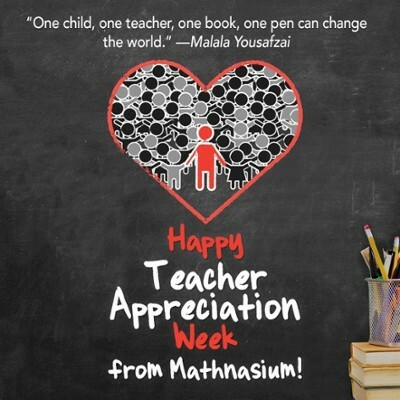 We encourage everyone to take a moment sometime this week to reach out to the teachers you know and love in your communities, whether with a handwritten note or an email, a small gift, or just a heartfelt, “thank you for teaching me (or my child).” Those simple gestures mean the world to teachers, and it’s the least we all can do.